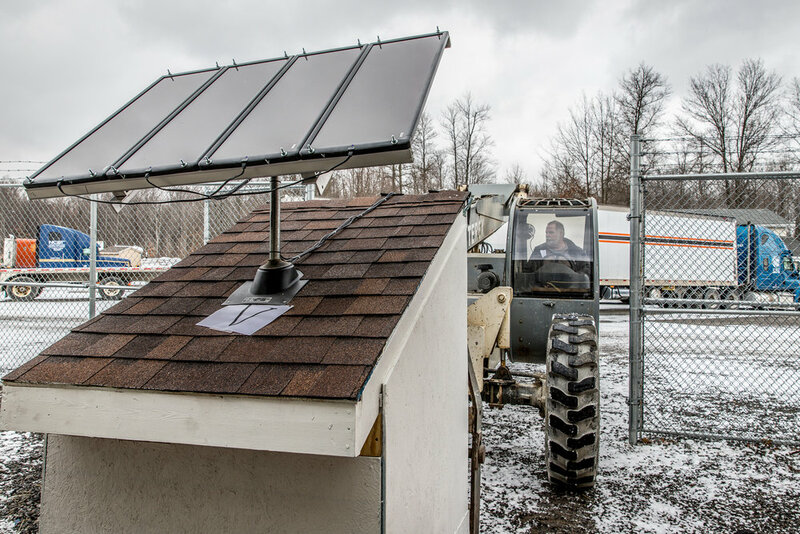 Similar to our Industrial Maintenance program, the Industrial Maintenance with Wind and Solar Technology program equips students with a variety of skills needed to maintain a facility. In addition to basic welding, mechanics, fluid control, pneumatics and hydraulics, and forklift operation, students also learn about HVAC systems and more detailed electrical work and programmable logic controllers. Understanding how generators work as well as installation and maintaining wind generators and solar panel systems, both grid-tied PV systems and stand-alone systems are covered in the program. Students have the opportunity to design and complete a variety of renewable energy projects through the program. The skills acquired in the program will be applicable to entry-level positions as Maintenance Mechanics, Maintenance Engineers and Building Superintendents. These job titles are in demand at manufacturing companies, mills, industrial plants, the gas & oil industry, hospitals, hotels, apartment complexes and real estate management companies. For graduates willing to travel or relocate, opportunities as wind turbine technicians and photovoltaic installers are available. During the course of study in this program students will be exposed to conduit bending equipment, motor controls, electric motors, test meters, service panels, freezers/refrigerators, air conditioners, heating systems, precision measuring tools, pneumatic equipment, hydraulic equipment, pumps, valves, plumbing tools, plumbing fixtures, arc and MIG welders, cutting torches, wind turbines, solar components and forklift.